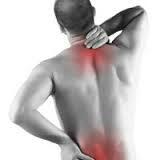 Emed > Nutrition > No Pain – No Grains > Are Grains The Cause of Your Pain? Rheumatic (musculoskeletal) conditions such as osteoarthritis, rheumatoid arthritis and fibromyalgia are all driven by chronic inflammation, a process that is largely induced and sustained by poor dietary habits and depleted nutrient status. Of course, other factors can be involved, such as mechanical wear and tear on joints and immune abnormalities, however it is clear that what we put in our mouths significantly impacts what we feel throughout our bodies. The benefit of this knowledge is that patients with these conditions can have some control over their own disease and may be able to reduce or eliminate their need for toxic pain relieving drugs. While different foods may trigger symptoms amongst different individuals, a common thread in most inflammatory conditions is excess intake of grains. Refined grains in bread, cereals, pasta, pastries, etc. are the most problematic. Grains are inherently pro-inflammatory – Once digested, grains reduce the pH of the body causing it to become more acidic and thereby increasing susceptibly to mineral deficiencies, chronic disease and inflammation. Grains are also high in omega 6 fats which, when eaten in excess as they often are in the standard Western diet, throws out the omega 6:omega 3 fatty acid balance in the body. As a result, there is an increase in the production of pro-inflammatory mediators and a reduction in anti-inflammatory mediators produced from omega 3 essential fatty acids (EFA), EPA and DHA. Learn more about this here. Allergenic immune response – Most grains contain a type of protein called gluten which can cause inflammation in the digestive tract and initiate abnormal immune responses in the body. In extreme cases, this can lead to Celiac’s disease where gluten causes the destruction of the intestinal lining and can contribute to the development of other auto-immune conditions. However, even mild sensitivities to gluten can have wide-ranging effects on the body – not just the gut – and can contribute to joint and muscle pain, fatigue, weight gain and many more health problems. Damaging the gut lining – Increased gut permeability, a result of the gut inflammation is extremely common in sufferers of rheumatic disease and allows a number of harmful bacteria and toxic molecules to pass through the gut lining and into the blood stream. This can further exacerbate abnormal immune responses, joint and body-wide inflammation, followed by pain. Due to certain grain constituents such as lectins and gluten, grains have been found to be a major contributor to increased intestinal permeability, as are medications such as non-steroidal anti-inflammatories (NSAIDs) and antibiotics. Alteration to gut bacteria levels – our intestinal bacteria play an essential role in immune regulation and digestive health. In addition to increasing intestinal permeability, lectins, a type of protein found in cereal grains may encourage the overgrowth of inflammation-promoting gut bacteria. High carbohydrate diets such as those based on refined grains further exacerbate the overgrowth of opportunistic bacteria resulting in intestinal dysbiosis. Interestingly, the severity of small intestinal bacterial overgrowth (SIBO) has also been found to be associated with the severity of pain experienced by fibromyalgia patients. Nutrient Depletions – Refined grains have little to no nutritional value in and of themselves. In addition, deficiencies in essential nutrients such as zinc, iron, Vitamin D, B6, folate, Vitamin B12 and more are common in patients with poor digestive health, particularly those with undiagnosed wheat or gluten intolerance. This may contribute to prolonged wound or soft tissue healing, fatigue, compromised antioxidant defences and other symptoms that commonly occur with chronic pain. Current blood screening for gluten intolerance is limited due to the fact that only a few specific antibodies (immune complexes formed in response to gluten) are tested for. Wheat, the most commonly consumed grain contains a wide range of other proteins that may cause allergenic reactions and will not be detected. Furthermore, some people may have mild grain intolerances that can still cause significant damage to the body, but do not cause a strong enough immune reaction to be picked up in current IgA blood tests. This means many people with wheat, gluten and/or grain sensitivity are likely to remain undiagnosed. Firstly, you will need to eliminate grains from your diet. If this sounds too daunting – commit to a grain-free diet for a month and see if you feel a difference before making it a permanent dietary change. Simple and easy guidelines for following a grain-free diet can be found in our article here. We also recommend comprehensive IgG food allergy testing to confirm wheat and grain sensitivities that may not show up in standard IgA allergy tests, and to determine if there are any other foods contributing to digestive damage and inflammation. The first steps to repairing damage done to your gut (and body) by grains include restoring good bacteria levels and supporting immune function with a high-quality and potency probiotic supplement. You can also reduce digestive inflammation and intestinal hyper-permeability with soothing nutritional and herbal formulas such as Intestamine. Anti-inflammatory herbal formulas containing turmeric extract (curcumin) are scientifically validated and safe for reducing pain and inflammation. We recommend trying Curcuma Active (turmeric alone) or Boswellia Complex for a supplement containing turmeric with additional anti-inflammatory herbs such as Bowellia and Ginger. Taking a pure and concentrated fish or krill oil supplement is also essential to help improve your Omega 3:6 ratio and thereby reduce inflammation. In addition, omega 3 fats have a lubricating action on joints to aid with arthritis management. Magnesium is an essential nutrient for the relief of muscle tension, cramping and pain. It also has anti-inflammatory effects and may be particularly beneficial for people experiencing fatigue and nervous tension in addition to muscular symptoms. To assist with joint repair and to slow the progression of arthritic joint degradation, we recommend taking a glucosamine and chondroitin containing formula such as ChondroCare Excel. If you have an inflamed gut or intestinal dysbiosis, you may not gain optimal benefits from glucosamine supplements, as glucosamine metabolism can be altered by gut bacteria and integrity thereby reducing the amount of glucosamine that reaches the joints. This highlights the importance of repairing digestive health as part of an effective pain management plan.